Before the general election, the outlook looked gloomy for Labour in Yorkshire. Seats like Wakefield, Dewsbury and Halifax seemed bound to change hands, with expectations of a great migration of voters from Ukip to the Conservatives eradicating narrow Labour majorities in Yorkshire towns. Thanks to the hard work of local MPs, a dysfunctional Tory campaign and the resonance of a challenge to an economic model that has failed communities up and down the country, Labour outperformed expectations. We not only held onto those seats but gained new ones in Colne Valley, Keighley and Leeds North West. But if Labour is to win a majority next time round, we will need to make further progress in winning back those English towns that once formed part of our heartlands. That means some of the places where we went backwards in 2017 – places like Middlesbrough South and East Cleveland, Walsall North or Cleethorpes. In Yorkshire, it is constituencies like Pudsey, a target seat in 2015 that we came tantalisingly close to gaining last year; Morley and Outwood, lost to much surprise in 2015 and with a small swing to the Tories again in 2017; and Shipley, a seat the party hasn’t won since 2001, despite being represented by Philip Davies – one of the most reactionary men in parliament. When we talk about Labour facing a challenge in England, we are talking about England’s towns. The academics Gerry Stoker and Will Jennings have spoken of the political emergence of two Englands. In 2017, Labour thrived in those parts of the country, largely cities and university towns, most closely aligned to currents of global growth, and suffered setbacks in those areas excluded from it. Ex-industrial towns in England, and much of the rest of the UK, have still not recovered from the damage done during the 1980s, as deindustrialisation hit hard and the policies of the Thatcher government only served to exacerbate it. The last Labour government, while it redressed some of these problems, was too willing to accept the rules of the game while simply compensating the losers. When the Conservatives were re-elected, too many of those gains were vulnerable to cuts. Next time, Labour will need an agenda that supports communities up and down the UK to become more autonomous and sustainably prosperous. Too often, England as part of the UK is seen, on the one hand, in terms of a stiflingly conservative culture, an identity that is anathema to the growth of radical politics. On the other, it is associated with London, as a bloated centre of governmental and financial power. Labour thrived in London, a city of gross inequalities where the injustices of our economic system are extremely obvious. But we need a story for, and about, what Anthony Barnett calls ‘England without London’. It is not hard to find a whole host of English radical traditions, from the Diggers and Levellers in the 17th century to the Chartists campaigning for the vote in the 19th, to ethical socialists like William Morris and R.H. Tawney, and the suffragettes and suffragists. The Labour Party has always benefited from radicals in this tradition, from leaders like George Lansbury and Clement Attlee to great – and proudly northern – socialist women like Ellen Wilkinson and Barbara Castle. Some personal favourites of mine are the Leeds suffragette Isabella Ford, who was the first women to address the Labour Party conference, and the Normanton-born, former Leeds MP Alice Bacon. The academic John Tomaney has made the case for reclaiming the word parochialism – that it is local attachments and solidarities which often form the basis of our universal, egalitarian values – and Alice was parochial in the most positive sense. Politically and constitutionally, we need to end the status quo where decisions and power continue to be kept under close guard by Westminster and Whitehall, even when it could be better used for people and communities at a local level. In South Yorkshire, Dan Jarvis has made a great start as the new mayor, but the rest of Yorkshire is missing out. I favour a One Yorkshire model. However, if we must take an intermediate step, with devolution to a Leeds City Region or West Yorkshire, now is the time to seize that opportunity. Imagine how much more Judith Blake and the Labour Group on Leeds City Council would be able to achieve if they were given real power over transport, housing, skills or flood defences. But political and cultural answers can only carry us so far when the most fundamental challenge that we face is an economic one. Labour’s most recent party political broadcast, ‘Our Town’, took head on the problems facing England’s towns, showing that at heart the loss of pride and identity in many places is rooted in the economic changes Britain has undergone in the past few decades. The question, then, is how can we replace a broken political-economic model which deprives the vast majority of people, especially those in England’s provinces, of real power over their lives and their communities? The promise of industrial strategy was that it would restore growth and good work to the parts of our country which have not profited from the age of globalisation, financialisation and neoliberalisation. But fundamentally, our way of thinking about the economy has not been up to the task. A narrow focus on GDP and on the most high-tech, high-skill, high-productivity sectors as engines of progress has seen a neglect of the parts of the economy upon which we all depend for healthy, happy lives and communities. Government policy needs to focus on the everyday economy – of care, retail, supermarkets, utilities, education and health – if it is to reach the communities and people which most need it. The collapse of Carillion, the takeover of 250 year old engineering giant GKN by venture capitalists Melrose, and the revelation at my select committee last week that Royal Mail paid a staggering £5.8m golden hello to their new CEO – who is not even based in the UK and therefore will pay no UK tax on that money – have served as a reminder that the way goods and services within the everyday economy are provided matters. Meanwhile, these sectors are overwhelmingly characterised by high employment but by low productivity, low wages and low skill levels. Policy to boost wages, working conditions and productivity within them could have a transformative effect on the living standards for millions of people working within them. In practice, that means, for example, an industrial strategy putting these sectors first, prioritising a way to integrate technology and boost productivity that improves rather than displaces work. We could do with the creation of new Royal Colleges to provide status and voice for professionals in undervalued sectors like care, and – as the Foundational Economy Collective has called for – a new system of social licensing that ties private providers within the everyday economy to a wider set of social, economic and environmental objectives, with a measure of local democratic control. Modelled on the agreements between mining companies and indigenous communities, companies drawing revenue from the foundational economy would have to specify what they put back as social benefit into the relevant communities. Meanwhile, the Centre for Local Economic Strategies and Preston City Council in particular have pioneered a model of local wealth-building that harnesses the assets already in towns, working to ensure spending by local anchor institutions – like hospitals, schools, or universities – benefits the local economy as much as possible. Labour should be committed to supporting local authorities in extending this principle further. To win in Yorkshire, and England, then, Labour needs a story – about the country as a whole, Labour’s place within its traditions, and where it has gone wrong. But it also needs the radical prospectus to redistribute across regions and classes the wealth, power and opportunity for a fairer, better country. 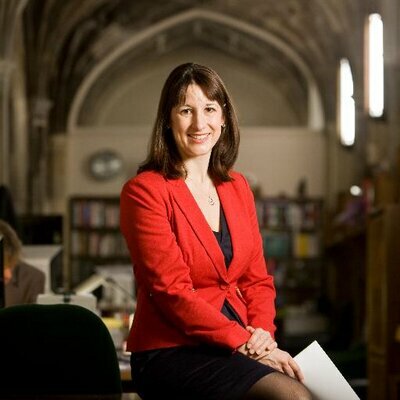 Rachel Reeves is MP for Leeds West, chair of the Business, Energy and Industrial Strategy select committee, author of ‘Alice in Westminster’ (2016) and the forthcoming ‘Women of Westminster: The MPs Who Changed Politics’. At 10am on Saturday 20th October, Reeves will be speaking on Labour, England and winning in Yorkshire at an event hosted by the English Labour Network at Leeds Civic Hall. You can register your place for free here.